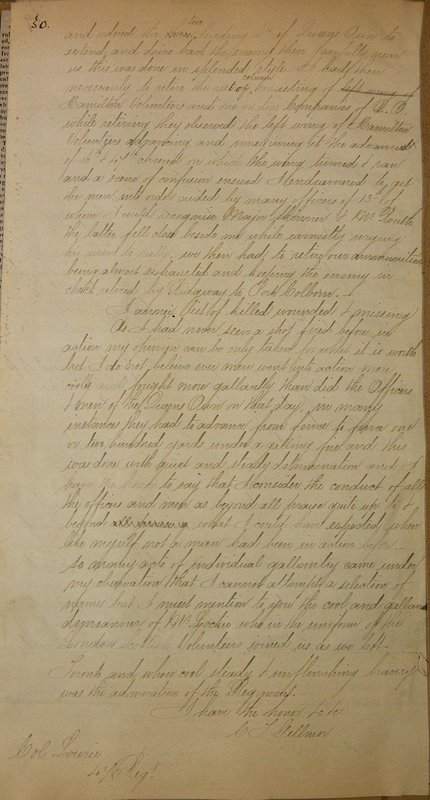 During some recent research, an original letter relating to the Battle of Ridgeway was “rediscovered”, it provides some good insight into the conduct of the battle by someone who would have been well aware of the events and is the subject of this Artifact Spotlight. At the time the Queen’s Own were called to active service to fight the Fenians in June of 1866 the Commanding Officer, LCol Durie, was assigned to staff duties at the headquarters in Toronto and Maj Charles T Gillmor was acting CO. Col Booker of the 13th Regiment of Volunteers was in command of the force but Maj Gillmor commanded the 450 men of the Queen’s Own who were in the front line fighting the Fenians for much of the brief engagement. 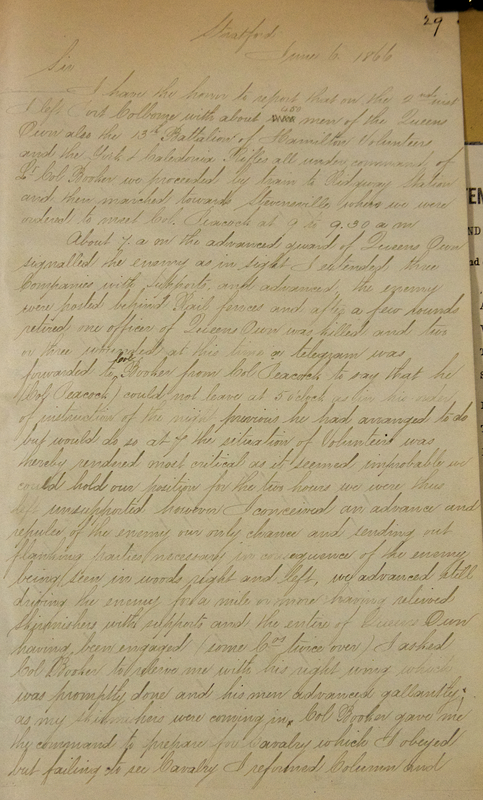 Four days after the battle while the Regiment was still on active duty in Stratford he submitted a report to Col Lourie who was with the 47th Regiment of Foot of the British Army. Gillmor praises the conduct of all the Volunteers at the engagement and credits the partially trained and ill-equipped soldiers with a cool determination not normally found in Militia soldiers. He pinpoints the critical turning point in the battle as the moment the Volunteers mistakenly identify the advancing left flank of the red-coated 13th Battalion Volunteers as British regulars under Col Peacock who they had been expecting to relieve them, at which point the Volunteers turned and began withdrawing from the field. I have the honor to report that on the 2nd Inst [of the current month] I left Port Colborne with about 450 men of the Queen’s Own also the 13th Battalion of Hamilton Volunteers and the York & Caledonia Rifles all under command of Lt Col Booker. We proceeded by train to Ridgeway Station and then marched towards Stevensville where we were ordered to meet Col Peacock at 9 to 9.30 am. About 7 am the advanced guard of the Queen’s Own signalled the enemy as in sight, I extended three Companies with supports and advanced. The enemy were posted behind rail fences and after a few rounds retired, one officer of Queen’s Own was killed and two or three wounded. At this time a telegram was forwarded to Col Booker from Col Peacock to say that he (Col Peacock) could not leave at 5 o’clock as in his order of instruction of the night previous he had arranged to do but would do so at 7. The situation of the Volunteers was thereby rendered most critical as it seemed improbable we could hold our position for the two hours we were thus left unsupported. However, I conceived an advance and repulse of the enemy our only chance and sending out flanking parties necessary in consequence of the enemy being seen in woods right and left we advanced still driving the enemy for a mile or more having relieved Skirmishers with supports and the entire of the Queen’s Own having been engaged (some companies twice over). I asked Col Booker to relieve me with his right wing which was promptly done and his men advanced gallantly as my Skirmishers were coming in. Col Booker gave me the command to prepare for Cavalry which I obeyed but failing to see Cavalry I reformed Column and ordered the two leading companies of the Queen’s Own to extend and drive back the enemy then fearfully near us, this was done in splendid style. I had then necessarily to retire the rest of column consisting of Hamilton Volunteers and one or two companies of Queen’s Own. While retiring they observed the left wing of the Hamilton Volunteers advancing and imagining it the advance of the 16th and 47th [Regiments of Foot British Army] cheered on which the wing turned and ran and a scene of confusion ensued. I endeavoured to get the men into order aided by many officers of 13th of whom I could recognize Major Skinner and Mr. Routh the later fell close beside me while earnestly urging his men to rally. We then had to retire our ammunition being almost exhausted and, keeping the enemy in check, retired by Ridgeway to Port Colborne. I annex list of killed, wounded and missing. As I had never seen a shot fired before in action my opinion can be only taken for what it is worth but I do not believe ever men went into action more coolly and fought more gallantly than did the Officers and men of Queen’s Own that day. In many instances they had to advance from fence to fence one or two hundred yards under a galling fire and this was done with quiet and steady determination and I have the honor to say that I consider the conduct of all the officers and men as beyond all praise quite up to and beyond what I could have expected when like myself not a man had been in action before. So many acts of individual gallantry came under my observation that I cannot attempt a selection of names but I must mention to you the cool and gallant demeanor of Mr. Lockie who in the uniform of the London Scottish Volunteers joined us as we left Toronto and whose cool steady and unflinching bravery was the admiration of the Regiment. Today’s artifact spotlight is by former Regimental Sergeant Major and Chief Warrant Officer (Ret’d) Shaun Kelly, Assistant Curator. The object I have chosen as an artifact of interest is this photo (above) of the Sergeant’s Mess in 1886. It is a composite photo meaning photos of individuals are cut-out and stuck on a watercolour or charcoal sketched background and then re-photographed (much like Photoshop). It was chosen because it shows the sergeants at a time when at least 30 of them had just recently returned from the rigours of the North West Rebellion 1885, (NW Canada campaign), it has five serving or future Sergeant Majors and a number of other interesting details. The date is likely 1886 as both Sgt Major Cunningham and Sgt Major Crean are present and the sergeants are wearing their North-West Rebellion medals. Warring G. Kennedy was Sergeant Major from 1891-92 and served as a corporal during the NW Canada campaign. George Creighton served as Sergeant Major from at least 1912-15 and served as a Pte during the NW Canada campaign. Samuel Corrigan McKell served as Color Sergeant during the NW Canada Campaign and was mentioned for saving a wounded soldier while under fire. He was appointed as Sergeant Major in 1889 but unfortunately died the next year. He is buried in St James Cemetery in Toronto and has a large tombstone erected by his comrades. John F.M. Crean was Sergeant Major from 1886-89 and served as Color Sgt during the NW Canada campaign. 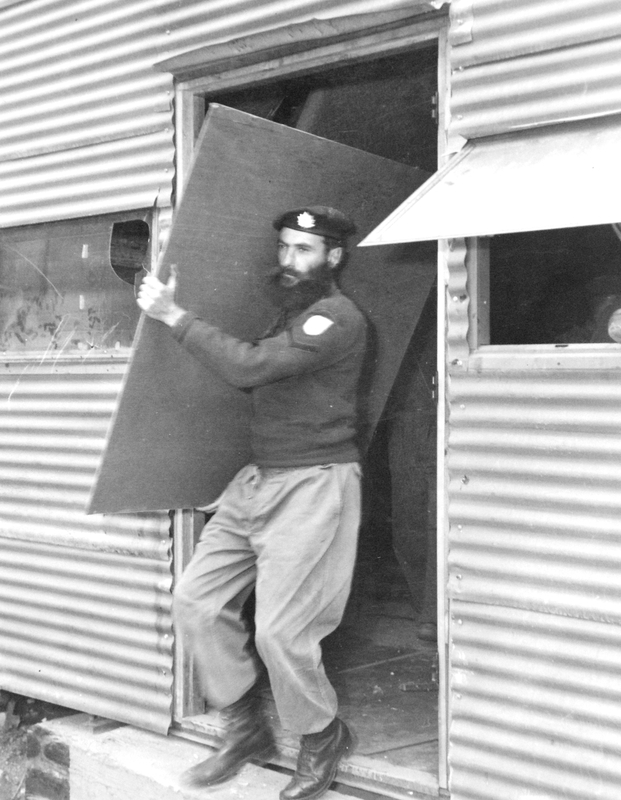 After his time as Sgt Major he received his commission, then left the QOR and joined the West Africa Frontier Force. He died in Toronto at 47 years of age after 6 years in Africa. Patrick Cunningham (formerly of the 16th Foot) was Sergeant Major from 1877 to 1885, including as Sergeant Major during the NW Canada campaign. Charles Swift was Bugle Major from 1876-1923 and is the only one in the picture that served at both Ridgeway and the NW Canada Campaign. He is the regiment’s longest serving Bugle Major. It is unknown who owned the dog in the lower left of the photo however, the menu from the reunion dinner for the veterans of the North-West Field Force that took place in October 1885 had a picture of a similar dog and its name was “Poundmaker”. See an almost complete list of Sergeant Majors here. This is the first of an ongoing series of articles in which museum volunteers were asked to share information about an interesting artifact they have come across in our collection – some of which may be on exhibit but others may be in storage. We start with Curator John Stephens. So what artifact have you chosen to spotlight for us today? One of my personal favourite items in our collection is not from the museum side but from our archives. It’s a bound ledger of nominal rolls by company beginning in March 1866 – just three months before the Fenian Raids – and pretty much annually through to 1882. Why do you find this so interesting? The history of the regiment is usually considered in terms of battles and campaigns and weapons and uniforms and training and deployments – but ultimately at its most basic level, it’s about people. And generally when we think of people in the regiment we know the stories of commanding officers, other officers and senior NCO’s but these rolls list everyone who served from the youngest bugler to the Surgeon Major. Over the various years, these contain a varying amount of information on each person listed but they do allow us to follow the progression through the ranks of many of our regiments earliest members. I’m also into family history research and there is no question the March 1866 roll is probably the most valuable for genealogists as it includes country of birth, religion, age and occupation. Obviously it would be handwritten – is it legible? Surprisingly yes it is for the most part. The ink for the June 1866 roll is very faded but generally the handwriting is legible – there are certainly some exceptions of course. Surprisingly good condition considering its almost 150 years old and it was actually in active use for 16 years. The cover and spine are holding up well and while there page are somewhat brittle, they really aren’t too bad. Just recently we received a donation to cover the cost of a new metal cabinet with doors in which we are now storing our highest at-risk items. Hopefully this will provide some better protection for items like this ledger. Anything else you’d like to share about this object? With the 150th anniversary of the Fenian Raids and the Battle of Ridgeway coming up in June 2016, there seems to be increasing interest in the information that we have in our collection related to that period from researchers and descendants of those who fought. We’ve digitized this ledger and posted it on our website Archives page. This provides people access to the information while still protecting the artifact itself from damage caused by handling. You can check it out here. We’re also going to use the 1866 rolls to do some analysis of the regiment’s make up and how reflective it was or wasn’t of Toronto at that time. Lately we have featured a number of historic photo albums from our collection and today we have another one. In 1914 the officers of the regiment (which then consisted of two battalions and an RHQ) presented the Colonel Sir Henry Pellatt with a beautiful leather covered photograph album of officers in the regiment. Most of the 21 pages have three or four photographs on them and they are shown in order based on the date of their commission and are beautifully presented with colourful calligraphy. Once again our volunteer photography Capt (Ret) Larry Hicks, has skillfully photographed each of the album pages but has also edited each photo individually as well. You can find both photo galleries here. The following are some examples of Christmas Cards in our Museum Archives that were sent to The Queen’s Own Rifles of Canada or officers of the QOR. J.W.L. Forster and the Queen’s Own Rifles. John Wycliffe Lowes Forster (usually J.W.L. Forster) was born on December 31, 1850 in Norval, Ontario. His grandparents had immigrated to Canada from England in 1828 with six children, including Forster’s father Thomas who married Martha Wilkinson in 1847. Martha, who was reputedly descended from John Wycliffe, named her second son after the English philosopher. By the age of two, Forster began to demonstrate artistic abilities by skilfully shaping the letters of the alphabet. As he grew older, he began sketching the faces of teachers and classmates on chalkboard with careful accuracy. Eventually, Forster passed the county teachers examination. He did not begin teaching but enrolled in Brampton Grammar School. Unfortunately, the daily eight-mile walk to school took its toll. He suffered a physical breakdown, which curtailed his plans for university. With the encouragement of his parents, the 19-year-old Forster went to Toronto to develop his artistic talent. He became the apprentice of Toronto painter John Wesley Bridgman, noted for his professional crayon portraits, copies of historical paintings and portrait photographs. In 1871, Forster won first prize in the amateur class at the annual fair of the Upper Canada Agricultural Society for his portrait of Bridgman. The following year, Forster and Bridgman began collaborating on portraits. Their work included a portrait of Mohawk chief Joseph Brant, painted for Lord Dufferin, and others displayed in the first exhibition of the Ontario Society of Artists. Forster made his first trip to New York City later that year, visiting the Metropolitan Museum of Art and other collections. Forster formed a partnership with Bridgman that lasted from 1874 to 1878. In 1876, Forster stepped onto the international stage, showing his work at the Philadelphia Sesquicentennial Exhibition alongside other Canadian artists including his partner, Bridgman. After the exhibition, Bridgman stayed in Philadelphia, giving Forster the opportunity to “work out portrait problems on my own.” One of the portraits he completed during this period depicts prominent Toronto businessman William Gooderham Sr. and his son William Jr.
By the age of 29, Forster had saved enough money to study abroad for three years. His first stop was London, England where he spent a few months with Canadian landscape painter Charles Stuart Millard who was teaching at the South Kensington Art School. Then Forster was off to Paris where he studied at the Académie Julian under Gustave Boulanger and Jules-Joseph Lefevre in 1879, under William Adolph Bouguereau and his associate Tony Robert-Fleury between 1880 and 1882, and under Carolus-Duran in 1882. By 1881, two of Forster’s portraits had been admitted to the prestigious spring Salon in Paris. That same year, he sketched landscapes in the Barbizon region southeast of Paris with fellow Canadian painter William Blair Bruce, and for a time also shared a studio with Edwin S. Calvert, an Irish/Scottish landscapist. J.W.L. boasted at the time he had sold three pictures (probably landscapes) to collectors in Australia and received several portrait commissions in France. Having completed his formal training, Forster returned to Toronto in 1883 to open a portrait studio of his own. A portrait of Dr. William Caven for Knox College was among his first commissions. Forster also taught students including J.W. Beatty, Curtis Williamson and Frank Armington, and was an examiner in fine arts at Hamilton Ladies College and Brantford Ladies College. Forster was also a major promoter for the establishment of an art school in Toronto. He was elected a member of the Ontario Society of Artists in 1883 and regularly contributed to annual O.S.A. exhibitions between 1884 and 1925. In 1884, he was admitted as an Associate of the Royal Canadian Academy and began exhibiting during its annual shows. He also exhibited at the Art Association of Montreal (later the Montreal Museum of Fine Arts) from 1889 to 1914, and in various Provincial Industrial Exhibitions and the Canadian National Exhibition from 1902 to 1931. By the mid 1890s, Forster was obtaining important commissions from the Ontario government. Forster painted retired Lieutenant-Governor The Honourable John Beverley Robinson in 1895, beginning the tradition which continues today of painting Ontario lieutenant-governors. Another early Ontario government commission, the portrait of The Honourable Christopher Finlay Fraser, is considered to be one of Forster’s finest works. When the Ontario Legislative Building opened in 1893, “a series of historical sketches were made [by Forster] and submitted to officers of state as an appeal for the decoration of state buildings.” During the next decade, under successive provincial governments, Forster completed four historical portraits – Major-General Sir Isaac Brock, Major-General James Wolfe, Major-General Aeneas Shaw and Colonel John Graves Simcoe. Forster thoroughly researched his historical subjects, travelling in 1897 to Brock’s home in St. Peter Port, Guernsey, England, to study the hero of the War of 1812. With an introduction from John Beverley Robinson, he visited the Miss Tuppers, nieces and heirs to the General. Using as a model a watercolour and pastel portrait of Brock (attributed to William Berczy) owned by the Tuppers, Forster made a preliminary sketch (now in the collection of the National Archives of Canada) and a painting that is displayed in the Royal Court House, St. Peter Port. Another painting of Brock in the Ontario government’s collection is displayed in the Ontario Legislative Building. The Tupper sisters also owned the General’s uniform that was “perforated by the musket balls which terminated his spectacular career,” as well as the letter which Brock wrote to Sir George Prevost the night before the Battle of Queenston Heights. Forster featured both the uniform and the letter in this famous portrait. While in England, Forster took the opportunity to research a portrait of James Wolfe who led British forces at the Battle of the Plains of Abraham in 1759. He based his sketch on a portrait of Wolfe by Joseph Highmore that depicts him as a young lieutenant. 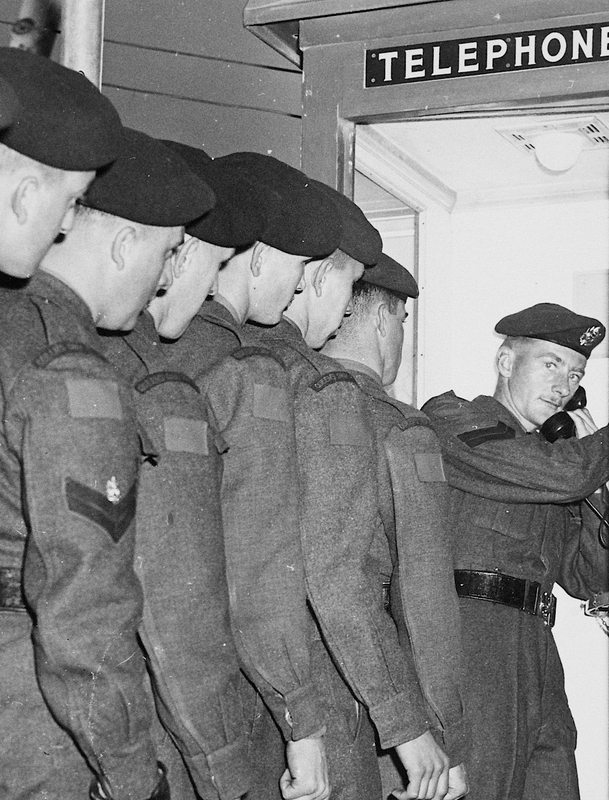 Not completely satisfied with this image, Forster did further research in the Imperial War Records Office in London in order to make a more accurate rendering of the type of uniform Wolfe would have worn during his time in Canada. Forster’s portrait of William Lyon Mackenzie was acquired by Premier Ross at the behest of citizens who recommended that it be hung in the Legislative Building “in respect to his place in history.” Premier Whitney then ordered a portrait of The Honourable Robert Baldwin, Mackenzie’s cohort in the struggle for responsible government. Forster also painted a portrait of Sir John A. Macdonald, a Conservative, as a counterpoint to an earlier portrait of Liberal George Brown. Forster also proposed a series of murals depicting Ontario’s heritage for the walls of the new Legislative Building. Although a commission for Forster was not forthcoming, he did complete several notable history paintings during his career including The Departure of Canada’s First Contingent for South Africa 1899 and Welcome by the Parliament of Canada to the Members of the Colonial Conference at Ottawa 1894. While Forster was busy in England researching his portraits of Brock and Wolfe, he was able to obtain royal permission to sketch Queen Victoria and her household in June 1897 during the Queen’s Diamond Jubilee. The resulting painting, Thanksgiving Service in St. George’s Chapel, Windsor Castle for Queen Victoria and Household, is one of Forster’s finest historical tableaux. During this period, Forster also painted historical portraits of the Methodist James Wesley, his brother Charles and their mother Suzannah. The three works are in the collection of Victoria University, Toronto – the institution that houses the largest number of Forster works. Commissioned by the Social Union of the Methodist Church of Canada, he travelled to numerous locations in England to research images during 1900. Forster also wrote prolifically on art, history, ethics and education – including an autobiography entitled Under the Studio Light, Leaves from a Portrait Painter’s Sketch Book. In this book, he discussed the subjects of his paintings – prominent men and women from around the world who he affectionately called “big-wigs.” Forster categorized his subjects by profession. His “Public Men” included the Canadian Governor Generals Earl Grey and Lord Aberdeen, several Prime Ministers of Canada such as Sir J.S. Thompson, Sir Wilfrid Laurier and The Right Honourable William Lyon Mackenzie King, and provincial premiers from across Canada. The “Eminent Collegians” that Forster painted included: Reverend Dr. Egerton Ryerson, the founder of Ontario’s educational system; Nathaniel Burwash, Chancellor of Victoria University; Reverend Dr. Charles Jas Stewart Bethune, Head Master of Trinity College School in Port Hope; and Dr. Willet Green Miller, first Provincial Geologist of Ontario. Among the notable women painted by Forster as “Guardian Spirits of our Race” were: Ellen Axson Wilson, the first wife of American President Woodrow Wilson; Mary L. McDonnell, the first President of the Women’s Christian Temperance Union; Emily Murphy, known as “Janey Canuck,” Canada’s first police magistrate and a leader of the Orange Order; and members of high society. Forster painted dozens of portraits of missionaries, which he termed “Modern Crusaders”, including General William Booth, founder of the Salvation Army. He also painted many portraits of “Prelates, Priests, and Preachers” and “Artists in Prose and Verse”. Forster was the first foreign artist to be granted the privilege of painting the Emperor and Empress of Japan. The opportunity arose during the Eighth World’s Sunday School Convention in 1920 when convention organizers commissioned him to paint Their Imperial Highnesses. Forster set up a studio in Tokyo’s luxurious Imperial Hotel. Because Their Imperial Majesties never sat for portrait painters, Forster was provided with photographs of his subjects and also given the Emperor’s uniform, medals, sword and regalia. He was also given the Empress’s ermine and velvet trimmed gown and court jewels. The only glimpse Forster caught of the imperial couple was when they were boarding a train at Tokyo’s Ueno Station. Nevertheless, after six weeks’ work, the portraits were completed. They were unveiled during the convention and subsequently presented to the Imperial Household. The paintings are in the collection of the Imperial Palace in Tokyo. On April 25, 1938, J.W.L. Forster died at the age of 87 following an automobile collision. His friend The Right Honourable William Lyon Mackenzie King attended the funeral. Forster’s lifelong dream was to establish a portrait gallery of “historic and eminent Canadians”. Upon his death, he bequeathed 15 of his portraits to form the nucleus of a national portrait gallery and $10,000 for its creation. The Forster collection includes the artist’s self-portrait as well as portraits of his wife and mother. His financial bequest was to be used to expand the collection once the gallery was realized. Although the Corporation of the National Portrait Gallery was patented in 1939, the Second World War slowed its development. In 1955, a plan was negotiated to exhibit Forster’s collection in universities and elsewhere to promote awareness of the National Portrait Gallery. One exhibition was held in 1956 at the McIntosh Gallery of the University of Western Ontario in London. The members of the board of the National Portrait Gallery transferred its paintings and the administration of Forster’s donation to the Royal Ontario Museum. Forster made important contributions to portrait and history painting in Ontario. He was a major proponent of art and art education in Ontario and the Government of Ontario Art Collection holds 28 of his paintings. Several of Forster’s works, including Sir Isaac Brock, are prominently displayed in the Ontario Legislative Building. He was one of Canada’s most outstanding portrait painters and his reputation extended around the world. He painted Queen Victoria, the Emperor and Empress of Japan and others. During his career, Forster created over 500 portraits and historical tableaux that represent a visual dictionary of the great personalities of his time and reflect the prolificacy, vision and talent of this internationally renowned painter. So we know that Forster was one of the preeminent portrait artist of the country during his lifetime but you may still be wondering about his connection to the Queen’s Own. Those of you who have ever been in the Officer’s Mess in Toronto however should know the answer. Forster painted large (generally 30″ x 40″) oil portraits of the first seven Queen’s Own Rifles’ Commanding Officers and of the first Honorary Colonel, Field Marshal the Right Honorable Earl Roberts of Kandahar, Pretoria and Waterford. These fine portraits in elaborate gilt frames line the walls of the Mess and provide a powerful sense of history and connection in the Officer’s Mess. With the exception of Roberts which is believed to have been painted in 1902, we don’t know when these portraits were actually painted. Below you can see photographs of each of the portraits taken in June 2010 by Christopher Lawson at the request of the Queen’s Own Trust. Field Marshal the Right Hon. Earl Roberts of Kandahar, Pretoria and Waterford, VC, KG, KP, GCB, OM, GCSI, GCIE – Honorary Colonel, 1900-1914. The original 1902 43″ x 30″ oil on canvas painting by acclaimed portrait artist John Wycliffe Lowes Forster, hangs in the Queen’s Own Rifles’ Officers’ Mess. Photo by Christoper Lawson, June 17, 2010. Lieutenant Colonel W.S. Durie – First Commanding Officer, 1860-1866. The original 43″ x 30″ oil on lined canvass painting by celebrated Canadian portrait artist John Wycliffe Lowes Forster, hangs in the Queen’s Own Rifles Officers’ Mess. Photo is by Christoper Lawson, June 17, 2010. Lieutenant Colonel C.T. Gillmor – Second Commanding Officer, 1866-1875. The original 42.75″ x 30.75″ oil on canvass painting by celebrated Canadian portrait artist John Wycliffe Lowes Forster, hangs in the Queen’s Own Rifles Officers’ Mess. Photo by Christoper Lawson, June 17, 2010. General Sir William D. Otter – Third Commanding Officer, 1875-1883 and Honorary Colonel, 1915-1929. The original 43″ x 30″ oil on canvas mounted onto panel painting by celebrated Canadian portrait artist John Wycliffe Lowes Forster, hangs in the Queen’s Own Rifles’ Officers’ Mess. Photo by Christopher Lawson, June 17, 2010. Lieutenant Colonel A.A. Miller – Fourth Commanding Officer, 1883-1887. The original 43.5″ x 31″ oil on canvass mounted on panel painting by celebrated Canadian portrait artist John Wycliffe Lowes Forster, hangs in the Queen’s Own Rifles Officers’ Mess. Photo by Christopher Lawson, June 17, 2010. Lieutenant Colonel D.H. Allan – Fifth Commanding Officer, 1887-1889. The original 43.5″ x 31″ oil on canvass painting by celebrated Canadian portrait artist John Wycliffe Lowes Forster, hangs in the Queen’s Own Rifles Officers’ Mess. Photo by Christopher Lawson, June 17, 2010. Lieutenant Colonel R.B. Hamilton – Sixth Commanding Officer, 1889-1897. The original painting hangs in the Queen’s Own Rifles Officers’ Mess. While the artist’s signature is not evident in this photo, it was likely J. W. L. Forster who had painted the preceding five and the next succeeding Commanding Officer. • Photo by Christopher Lawson, June 17, 2010. Lieutenant Colonel J.M. Delamere – Seventh Commanding Officer, 1897-1901. The original 43.5″ x 31″ oil on canvass painting by celebrated Canadian portrait artist J. W. L. Forster, hangs in the Queen’s Own Rifles Officers’ Mess. Photo by Christopher Lawson, June 17, 2010.